We spend a huge amount of our time at our outside table on the deck. It’s a dining table, a kitchen table, a work bench and it offers spectacular views. With all the work it does, it also needs a little maintenance very now and again. So we setup to sand and re-oil the table and the bench seats. 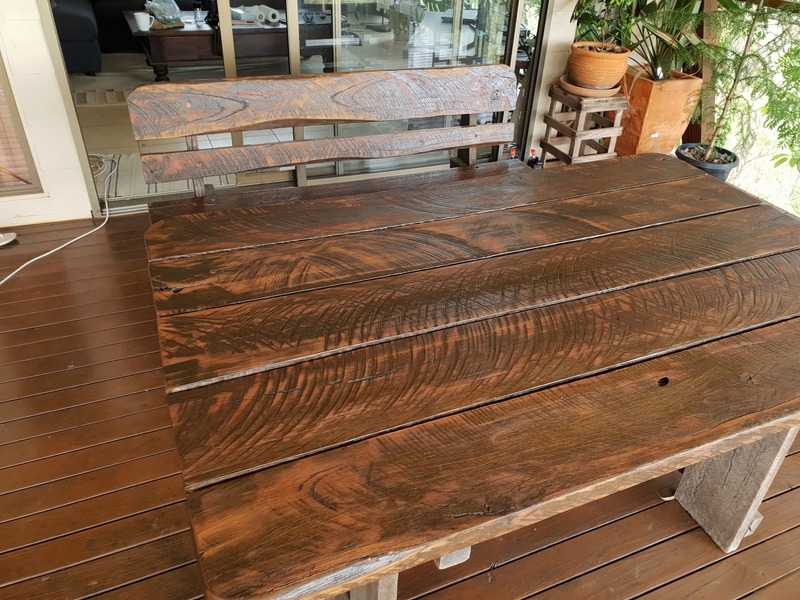 The table has a long history and dates back to the 90’s when I lived in Sydney. I saw it at Penfold’s, my then local second hand furniture place, and it had just been put out on the street for display. 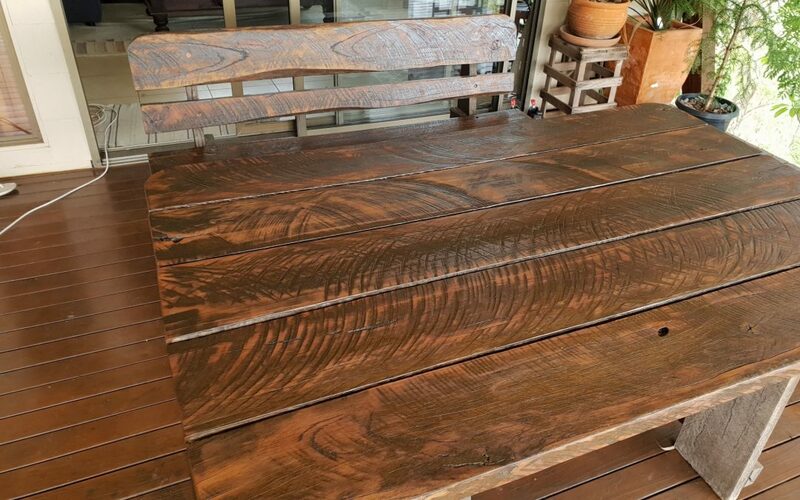 It was a massive and heavy hardwood outdoor table that looked ‘rustic’ but brand new. I walked in and bought it immediately for $400.00. As I was buying it a second person came into the shop and asked to buy the table….. I said he could have it for $800.. but he declined. So now our 25+ yr old table is due for a tidy up. 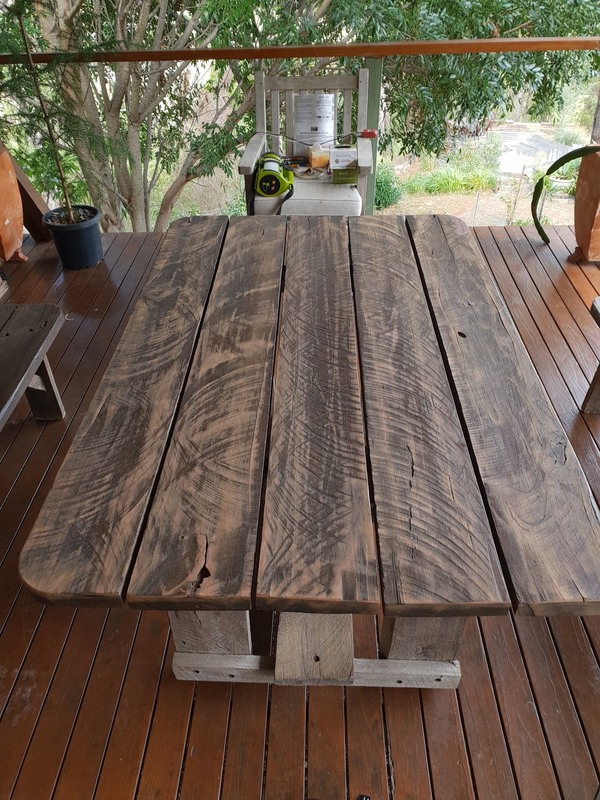 We got stuck into it with our belt sander and a heavy grit paper and took off as much of the sharp-edged rough bits across the table and the two bench seats. We were really happy with the outcome, as can be seen in these first two photos. 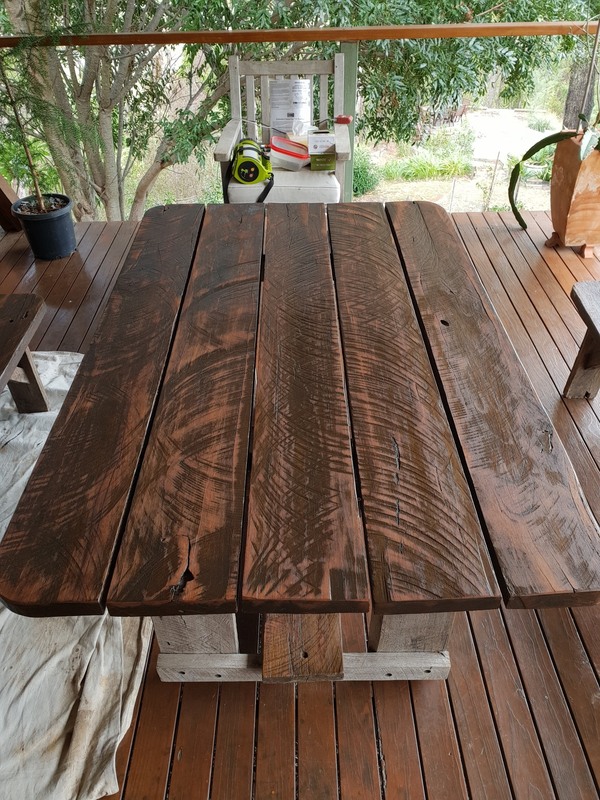 After sanding we applied the first coat of ‘decking oil’ to the main and open areas of the table and benches. The finish after this coat was rough and obviously needed a further sand. Using a fine grand sandpaper we sanded the surfaces again and applied another coast. The finish was much improved but still a little rough so we repeated the process one more time. 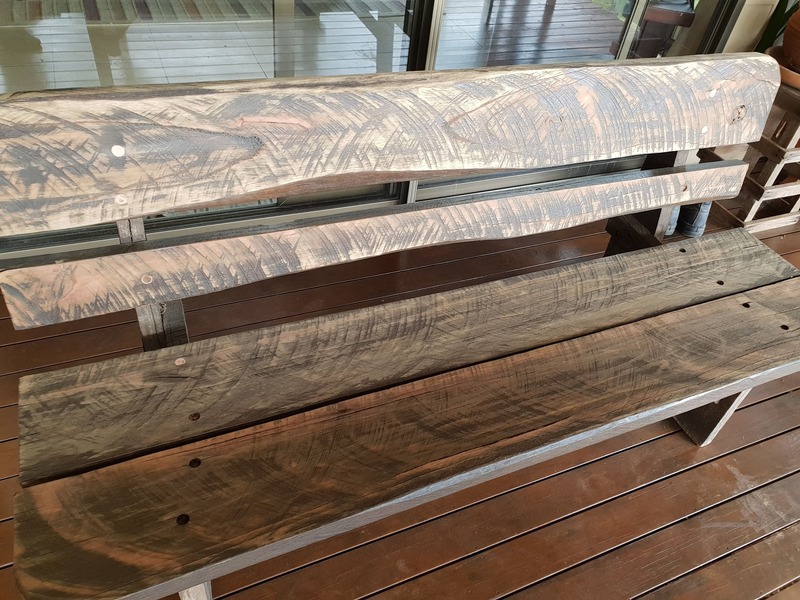 We are going to put a final coat on the table and benches, but right now we are receiving some much needed rain…. so all painting is off!